Inspired by ancient symbols of power and identity, the Queen’s Beasts range brings to life the ten imposing statues that lined the entrance to Westminster Abbey in 1953 at the coronation of Her Majesty The Queen. 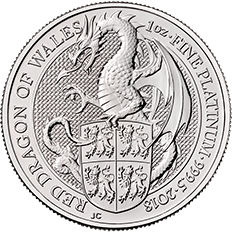 Following the success of previous coins emblazoned with the Red Dragon of Wales, this platinum one-ounce edition features the same original design by acclaimed coin designer Jody Clark. 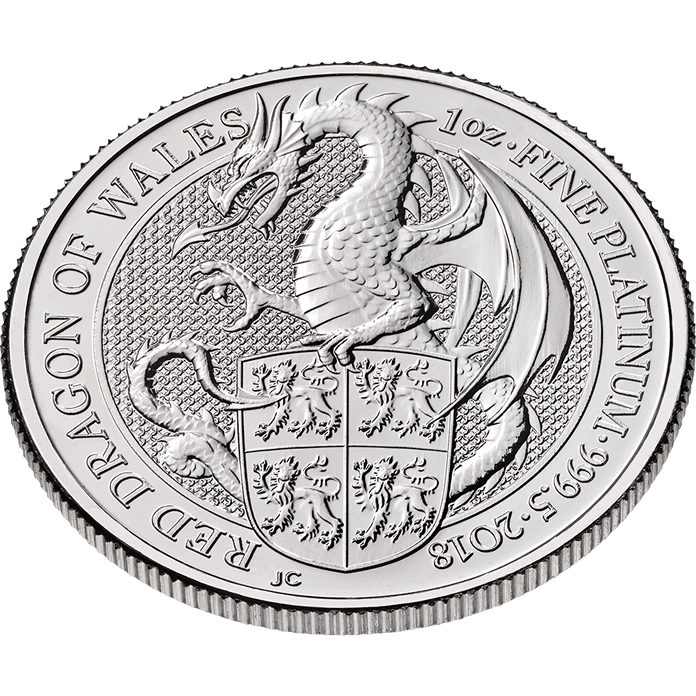 The Celtic dragon represents sovereignty and power. 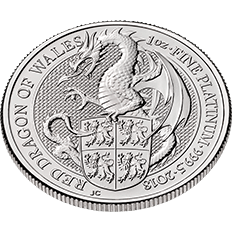 The Welsh dragon was used in the Royal Arms in the sixteenth century and the Red Dragon of Cadwallader is the emblem of Wales. This is the third in a series of ten designs that will celebrate each of The Queen’s Beasts. 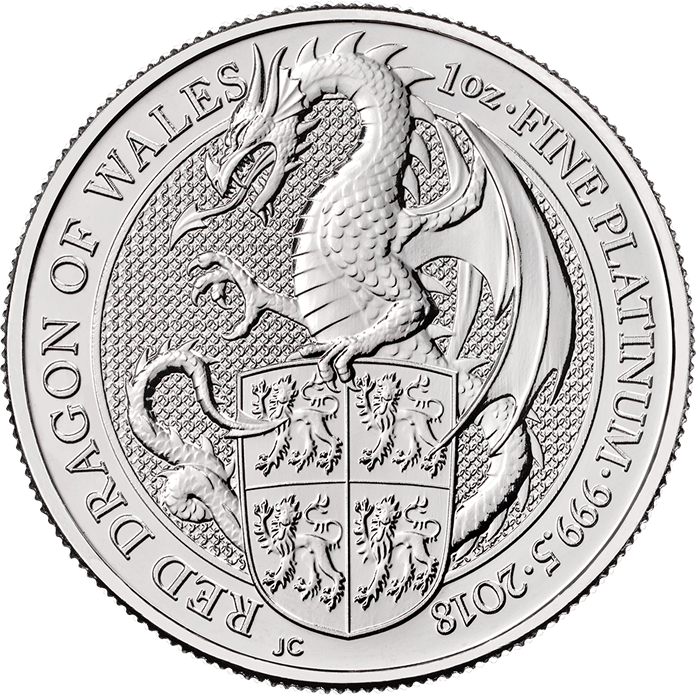 The Red Dragon range is also available as a one-ounce gold coin, quarter-ounce gold coin, two-ounce silver coin and a ten-ounce silver coin. 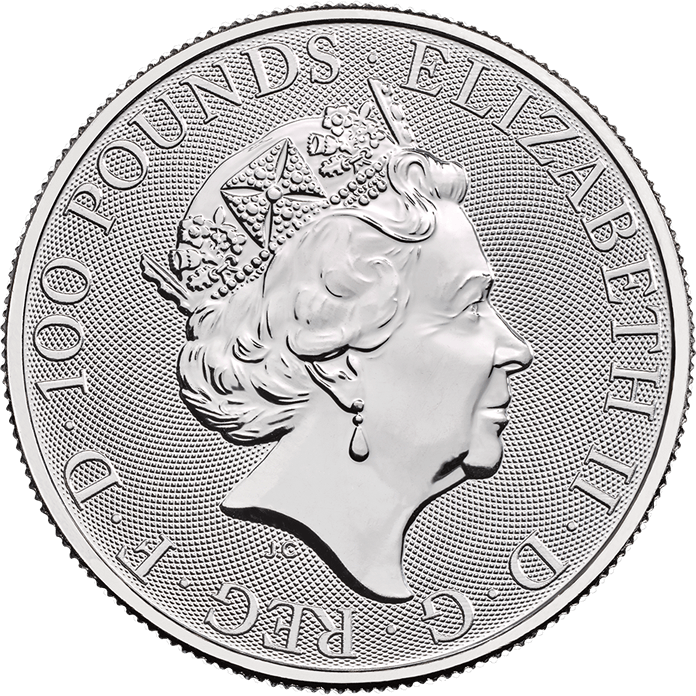 Ten coin tubes are also available for the two-ounce silver coin and the one-ounce gold coin. We offer free UK delivery on all our Bullion. International delivery charges may apply.